A Ghost in St. Augustine? Rose and I took a trip to St. Augustine just before the new year. On Saturday Night we had dinner at an Italian Restaurant called Nonna’s Trattoria. We sat outside for dinner and afterwards I took the photograph of the area where we were sitting. When I got home I noticed a strange figure in the photo (left center). The figure appears somewhat transparent. I know that a long shutter speed and a moving object can have a similar effect but I hand-held this shot at a shutter speed of 1/4 second. Slow but not that slow. In addition, the person would have had to move more than the width of his body to produce this effect which does not seem to be the case. Also, his shadow is very distinct and not from a flash. I don’t believe in ghosts but this sure is strange. If someone can explain it, please leave a comment. 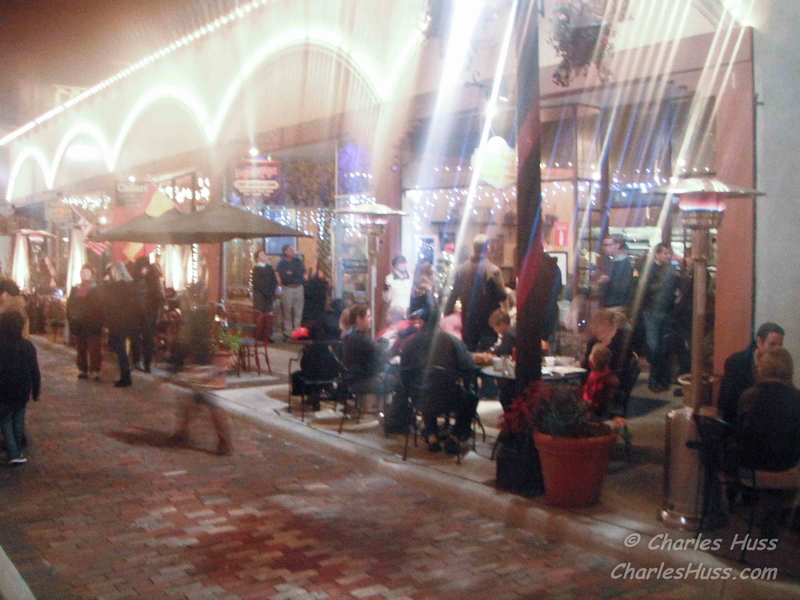 This entry was posted in Uncategorized and tagged ghost, photograph, St. Augustine on January 5, 2013 by Chuck Huss.